For today’s Blog Takeover I have Lucy from Absolutely Lucy talking about staying beautiful at festivals and what to pack. 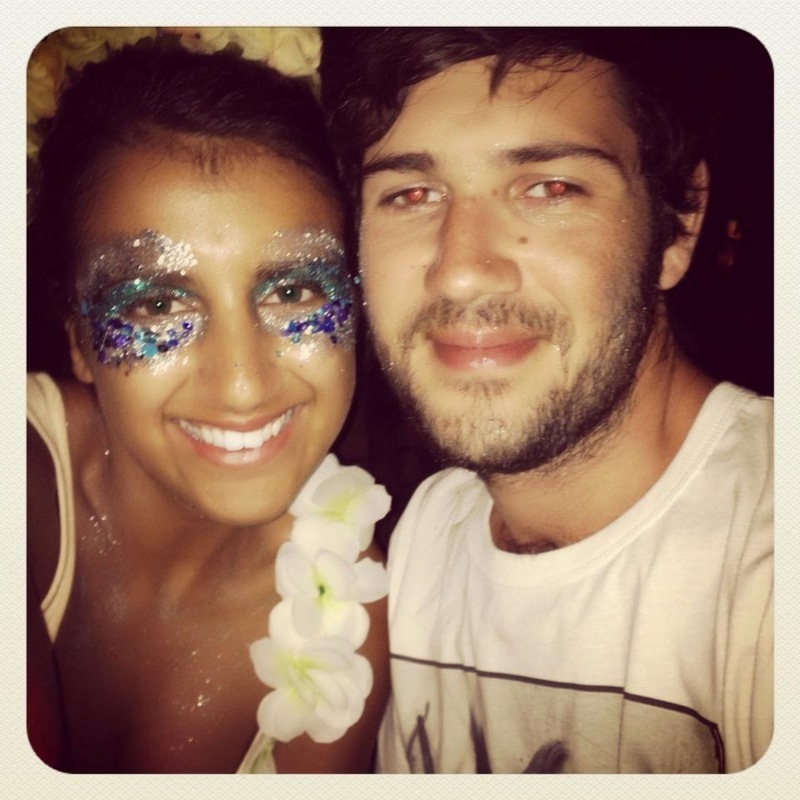 I really like this post and will take on board Lucy’s recommendations if I go to a festival! I’m trying my hand at something new here – not usually a beauty blogger but I’m always up for a challenge and this post combines beauty with one of my favourite things – festivals! As editor of This Festival Feeling I am always looking for the latest trends in beauty, fashion and music at all the top festivals. We are well into festival season now and with Glastonbury right around the corner, it is the perfect time to dig out those pots of glitter, those fabulous fake eyelashes and all those outrageous lip colours you’re just too scared to wear to work. For those who tend to stick to a bit of foundation, a simple eye-liner flick, and a clear gloss, festivals provide the perfect opportunity to experiment with colours and textures. For those who already love a flamboyant look, this is the time to really unleash the beast within and go all out. So what are those beauty must-haves for festivals? Well I certainly always have two lists – the essentials and the fun stuff. – Make-up wipes are so necessary after a night of dancing in a sweaty tent, and to scrub all that glitter off your face to start again the next day. – Moisturiser with SPF is a great shout, with all the alcohol and (fingers crossed) sunshine, your skin will quickly dry out and if you’re out all day in the sun, it is always helpful to have that extra bit of protection. – Under-eye concealer is an absolute life-saver after a long night of dancing and drinking. Let’s be honest, who wants to spend a festival asleep? But that does leave those rather unforgiving shadows to deal with. – Sun glasses – yes I know these are a tad more fashion-y, but they do hide a multitude of sins and whether you’re dancing in the sunshine, in a tent with a huge light show, or just suffering a huge hangover, they always come in handy. – Nail files are a must for me, I’m such a clutz and always dive in without thinking, which means I always end up breaking my nails. I can’t stand being left with jagged edges so I always carry a file to touch up. – A black eye-liner (preferably felt-tip like the one from Collection 2000) these are amazing for doing smooth flicks but also for fancy dress make-up e.g. cat make-up! – Compact mirrors are so helpful. If you’ve ever been to a festival and realised how rubbish the ones in portaloos are if they even have them, and quite how bad they smell, you’d realise the importance of taking your own. Although I’m not sure how badly you’ll want to look in it by the final day! – Bright lipsticks combined with a great pair of shades really can complete the festival look. When you’ve just surfaced and all you want is a pint and a burger, if you can’t be bothered to slap anything on, grab these two items and you’ll be ready to go! – GLITTER! Always my favourite, all different colours and plenty of it! Where else can you get away with having glitter all over your face and body? It takes any average make-up look into full festival-mode instantly. – Fake eyelashes are a great addition, but only if you go for the extra fabulous ones with gems or feathers – if you go for the plain ones it’s really not worth the hassle and the time of putting them on. – Feathers are a fantastic way of jazzing up festival make-up, you can easily attach them around the eyes or hairline with eyelash glue or make-up glue for dramatic effect. – Gems and beads also can easily be glued on and will look stunning around the forehead and eyes – why not sit round with the girls and do each others’ before heading into the festival fields? – Face-paint can be another great way of splashing festival fun all over the place, neon colours always go down a treat and it is so simple to do designs for your friends. Whatever happens, unless you have serious cash to spare – don’t be tempted to get a “makeover” or be “glittered” by one of the stalls because that will often knock you back £20 and quite frankly, it is more fun to do it with your friends and save the cash for the bar. 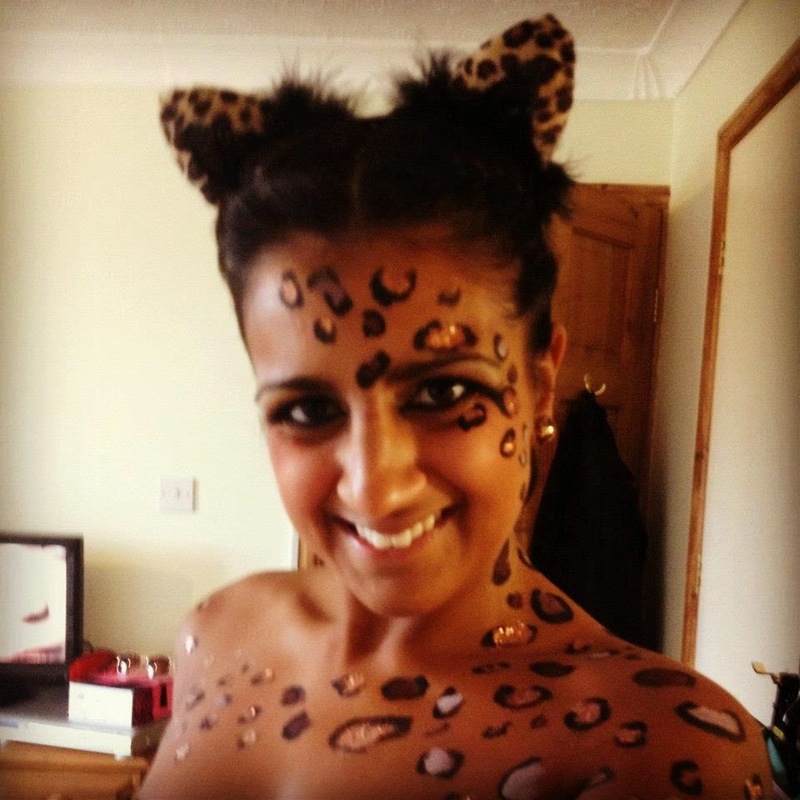 Pictured, you’ll see a couple of my own festival beauty looks – I had a lot of fun dressed up as a leopard at Zoo Project Festival and I can’t wait to go back to Secret Garden Party in a month – it really is the home of glitter and all things flamboyant! What about you guys? Are you heading to any festivals this summer? What looks will you be going for? Share your festival make-up ideas below!